The insurer said in a trading update this morning that first quarter 2016 UK personal lines premiums were “broadly stable” compared with the same quarter last year, excluding its withdrawal from brokered personal lines motor, which it announced in August last year. 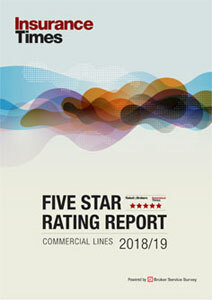 UK commercial lines enjoyed “modest growth”, with good performances in specialty, SME and marine. The Ireland business saw premium growth because of price increases as part of its turnaround plan. AT group level, RSA said operating profits in the first quarter of 2016 were “strong and ahead of our expectations”, although it did not provide profit numbers. RSA said underwriting performance was good in the quarter, with the UK and Ireland, Canada and Scandinavia each ahead of where they were in last year’s first quarter and “ahead of our plan”. The improvement came despite £23m of weather losses in the quarter at group level, accounting for 1.5% of net earned premiums (Q1 2015: 2.3%). RSA also revealed that the group incurred large losses of £142m in the quarter, representing 9.5% of net earned premiums (Q1 2015: 8.5%). 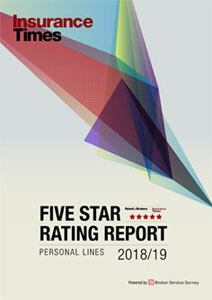 RSA group chief executive Stephen Hester said: “The year has started well for RSA. A streamlined and focused business model is already proving its worth, channelling our self-improvement measures more effectively to drive performance gains. He added: “We have laid out ambitious plans to transform operating performance, and so closing gaps to ‘best in class’ peers. We are ‘on-track’ in this journey, though with much still to do.